Group Koyote will release their 20th anniversary album [REborn]. 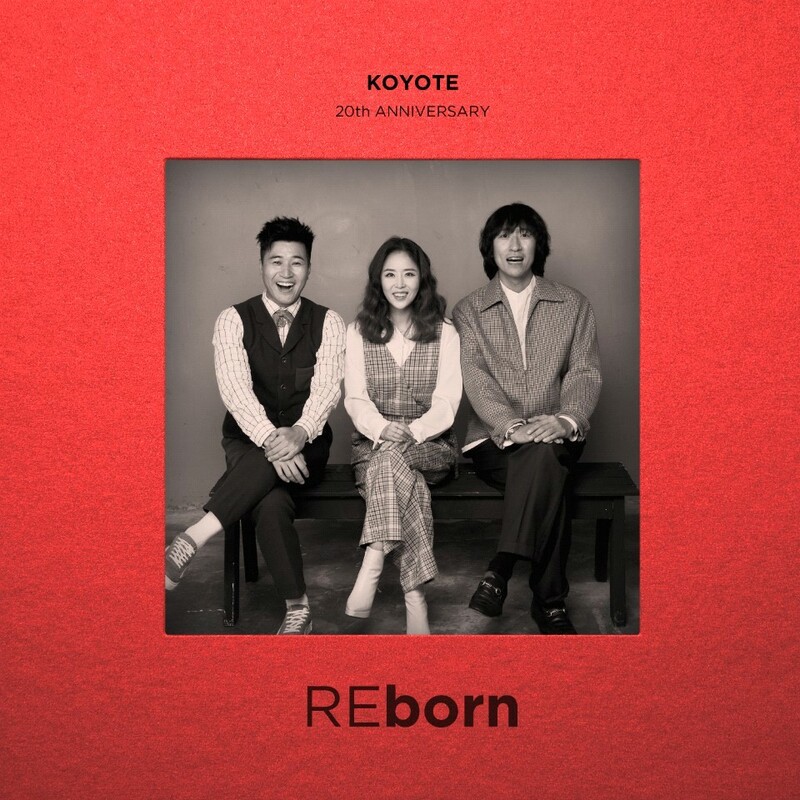 Koyote is consistently loved by Korea's longest lived mixed group, released their 20th anniversary album "REborn" at 6 pm. on last 8th of this month. Before the release of the album, Koyote pre released their remake songs "Entreaty" and "Our Dream" and drew attention. Koyote's 20th anniversary album [REborn] will include three new songs, including "Fact," "Thriller" and "Sad night," as well as the remade Koyote's hit songs "Genuine", "Sad dream", " Entreaty ", “Meeting”, “Broken heart” and "Our dream" and "12 South Koreans," in order. In particular, the title song "Fact" is a song that Shin Ji participated in the lyrics and featured in the lyrics in the 80s, showing the charm of Koyote. Kim Jong Min and Shin Ji's stable singing ability, and Bbaek Ga's rap, which makes the groove stand out even more by participating in the rap making, will present a special Koyote’s color. In addition, Koyote plans to make their first performance on KBS' Music Bank along with their comeback. Koyote made their debut with their first album "Goyote" in 1998 and has been loved for 20 years until "Bing Bing" in December 2016. Meanwhile, Koyote released their 20th anniversary album [REborn] at 6 pm. on last 8th of this month..